One of my most complex pieces. After ‘Lens‘, I wanted to push things even further, by using just one colour. The idea was to make a mosaic that was entirely about cutting and flow – a playful piece that had no particular focus but which suggested various shapes through the flow of the tesserae. In the end, I included a thin river of pink Carrara marble to suggest some sort of landscape or geological form, and accentuated this by leaving the piece ungrouted. 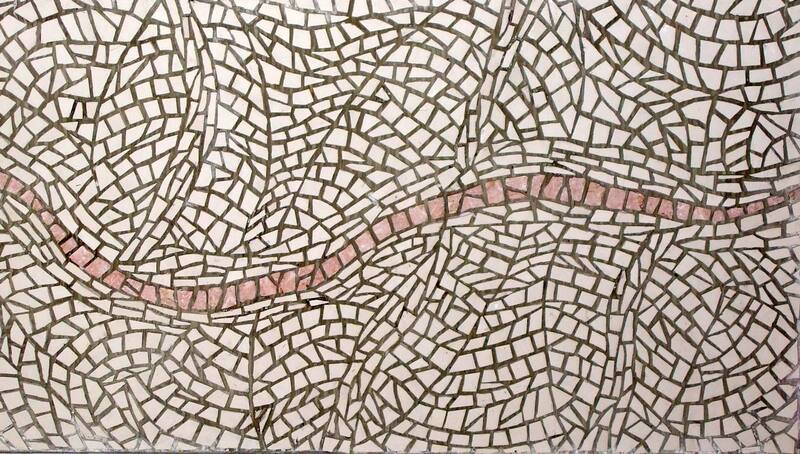 This has left deep channels between tesserae which look good but make it very delicate.